As the end of this financial year approaches what better time to reassess your finances and create a budget. Mortgage Stress Halved – But are We Out of the Water? Low interest rates have largely driven a decrease in the percentage of homeowners experiencing mortgage stress over the last 12 months. However from March to September 2014, 15% claimed they were experiencing mortgage stress with a further 15% anticipating it some time in the future. 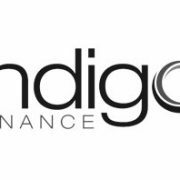 http://www.indigofinance.com.au/wp-content/uploads/2017/03/default-v2.jpg 198 300 wsadmin http://www.indigofinance.com.au/wp-content/uploads/2017/01/indigo-finance-logo.png wsadmin2015-05-14 02:05:502017-03-09 02:40:37Mortgage Stress Halved - But are We Out of the Water? Managing a mortgage can be quite a stressful task for most. Whether you’re considering taking one out soon or already have one, here are some quick tips to manage your mortgage more effectively.